I don't wear lipstick on a daily basis. It just seems like a little too much effort on many days where a simple lip gloss or lip balm will do. But this red lipstick (BITE Beauty Amuse Bouche - Cayenne) has become a go-to after I "rediscovered" it in my (seldom used) lipstick stash. 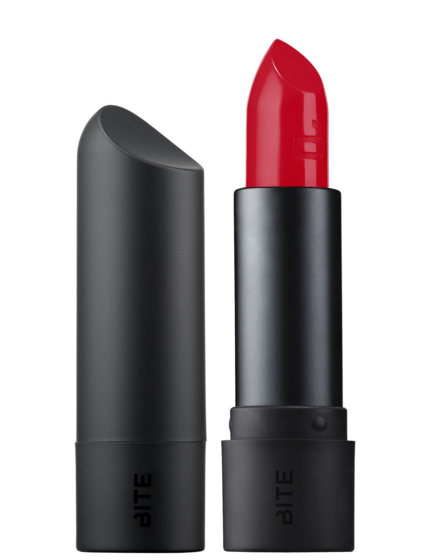 The Cayenne shade is a nice, bright red that works great when I want to punch up my summer outfits. The Bite Beauty Amuse Bouche range is not a particularly drying formula and lasts well with re-touches after eating or drinking. It's also easy to remove at the end of the day.